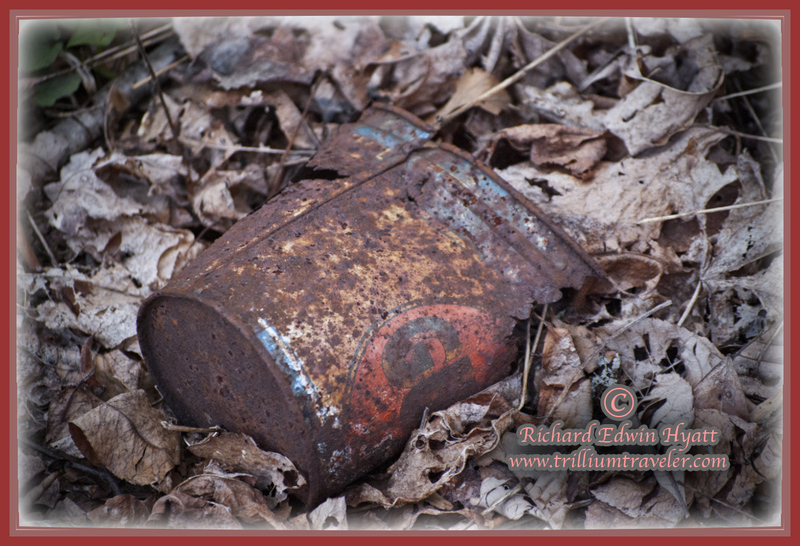 Young people probably will never have seen an oil can like this. But, someone left it along with several more in a bed of trillium many years ago. As you can see, it takes decades to recycle products like these in nature. Please, pack out and properly dispose of trash rather than discard it in a natural garden or forest.